The digitisation of information has led to massive shifts in the ways in which we consume – as well as produce – knowledge, leading to the emergence of what scholars have called prodsumers. If you want to learn a new language, you can simply download one of the thousands of apps aimed at teaching you everything from basic vocabulary to conversational skills. There are mobile applications for learning coding, writing, design and even meditation, not to mention the countless diagnostic and configuration apps and interfaces available to mobile users. Whether you want to check your car’s emissions or modify the sound of your guitar amplifier, chances are there’s an app designed to do exactly that. CENTURION recently released an app-based version of its G-WEB online interface for setting up and managing the company’s GSM devices. 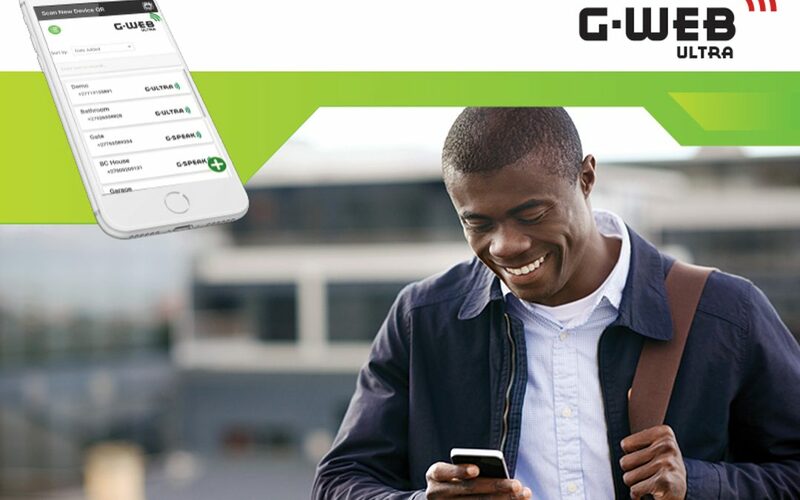 The G-WEB ULTRA app, which boasts all of the functionality of the web-based interface as well as some nifty new features, is aimed at saving installers time by enabling them to configure their clients’ GSM solutions onsite and on the move. With the G-WEB ULTRA app, you can set up, manage and configure your client’s ULTRA devices from anywhere. An intuitive wizard lets you effortlessly configure features. The app has been pre-loaded with wiring diagrams for a wide variety of applications. A detailed configuration audit log makes it easy to track changes made to the system. Add and delete users and devices, edit device settings, view transaction logs and much more. The app is available as a free download on the Apple App Store and Google Play Store.